being little • bristol uk fashion & lifestyle blog. 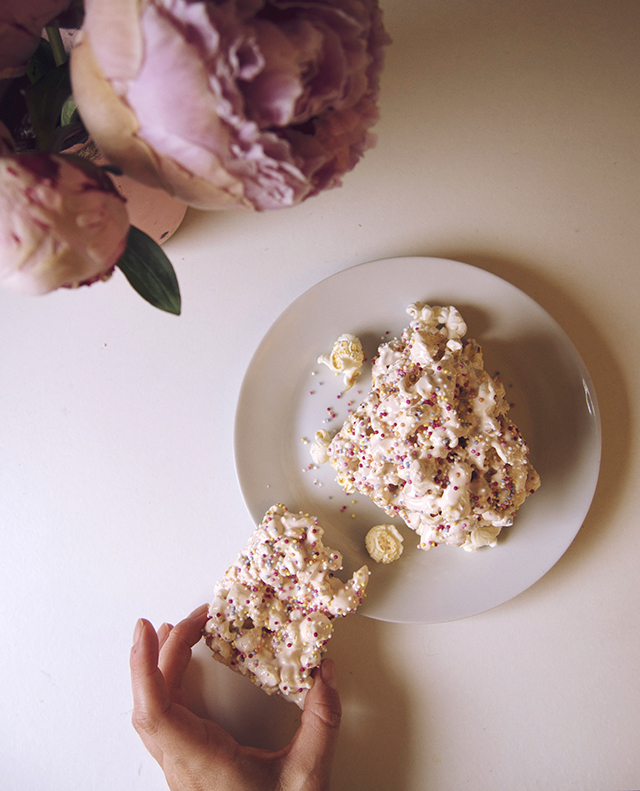 : 3 sweet and easy popcorn recipes | propercorn. 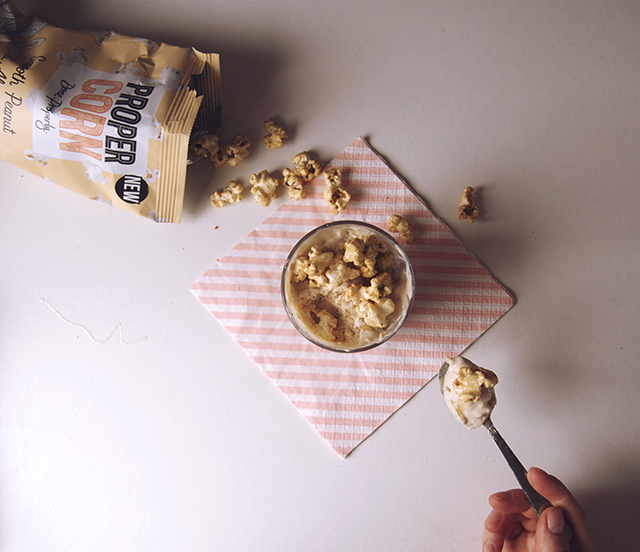 3 sweet and easy popcorn recipes | propercorn. Mmmm popcorn.. it's such a tasty snack as it is, and so great when it's still warm. But sometimes you want to make it a little more fancy. Here are 3 easy peasy ways to pimp your popcorn. 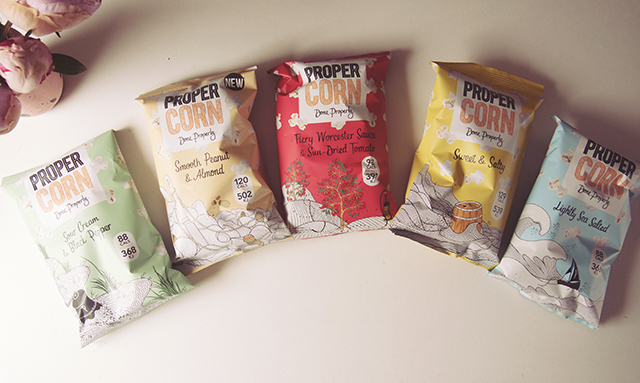 The lovely people at Propercorn sent over a variety of flavours to play with. I wasn't sure what to do with the strong, savoury flavours - other than feast on them as they are - so I concentrated on the three below, and made a little something with each. 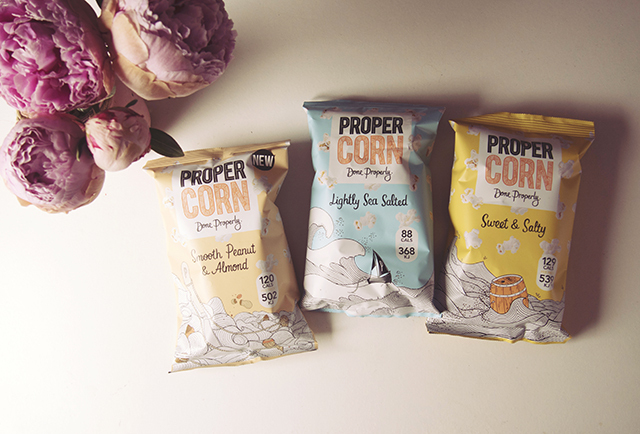 At the moment, you can also have your very own flavour of popcorn made by them and win a year's supply of Propercorn! That sounds damn good to me, get playing! I've already created my concoction.. So, I think I went a little wrong with this as they ended up a little too gooey - I think my marshmallow to popcorn ratio was out. I didn't follow a recipe, what a fool. 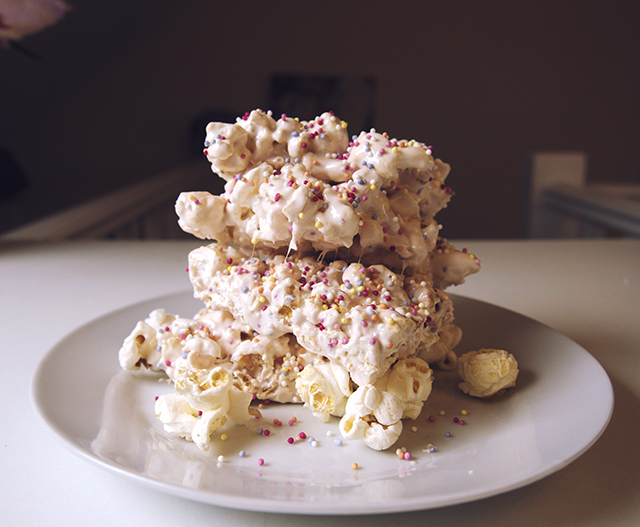 Next time I make them, I'm going to follow this recipe by Nigella, replacing rice krispies with popcorn. • Melt 45g butter in a large, heavy-bottomed saucepan, and add 2 tsp vanilla extract. • Add 300g marshmallows and stir constantly until completely melted. 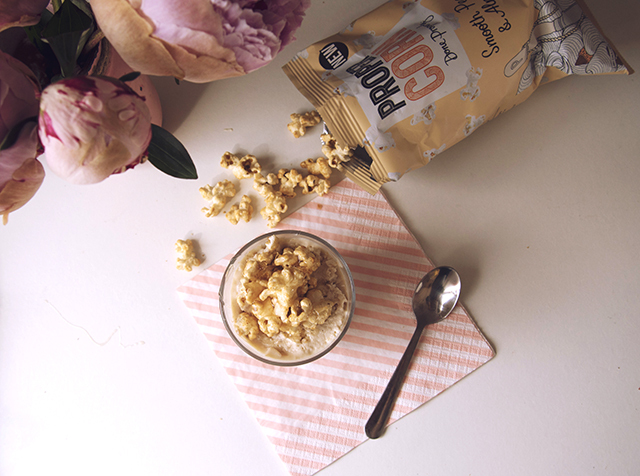 • Take the pan off the heat, and stir in 180g Propercorn Sweet & Salty Popcorn. • Press the mixture into a lined & greased baking tray - best if you oil your hands first as it will be very sticky! • Sprinkle hundreds and thousands over the top and leave to cool before cutting into squares. MAKE YOUR OWN CHOCOLATE BARS. 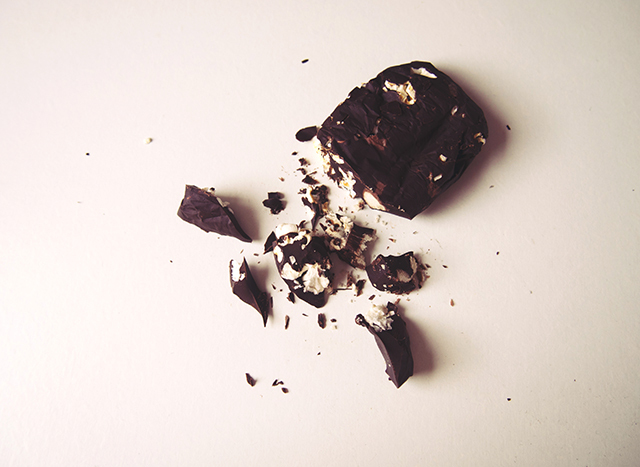 • Melt down your favourite chocolate - I went for super dark 80% cocoa. 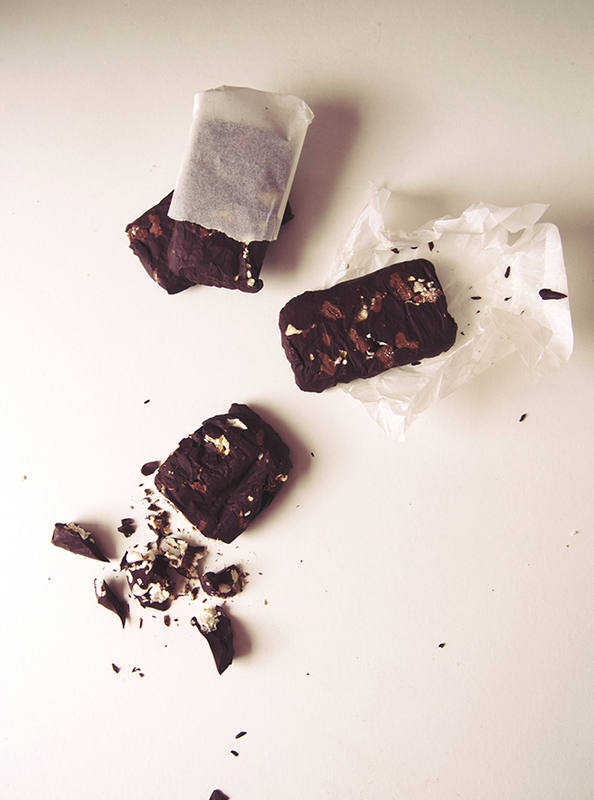 •While that's melting, you can line a baking tray with greaseproof paper, or individual brownie tray if you want to make small bars. Just make sure it has a lip so that the chocolate doesn't escape! 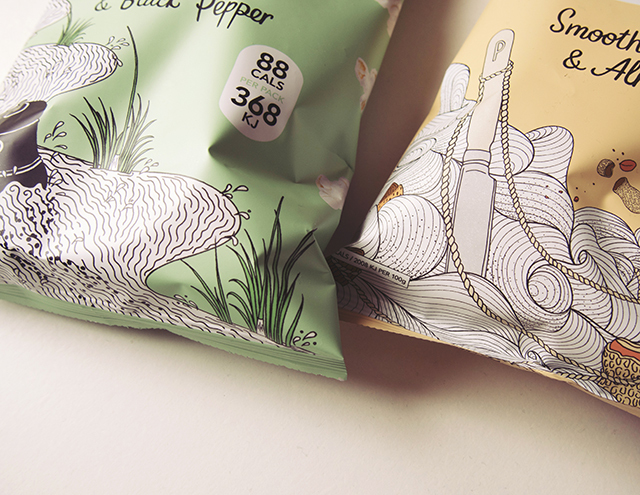 • Sprinkle Propercorn Lightly Salted Popcorn, nuts, biscuit, chocolate chips, sprinkles... whatever you want really, over the paper. • Pour the molten chocolate over the paper, and tap the tray gently to even it out. • Pop in the fridge for a few hours until set. 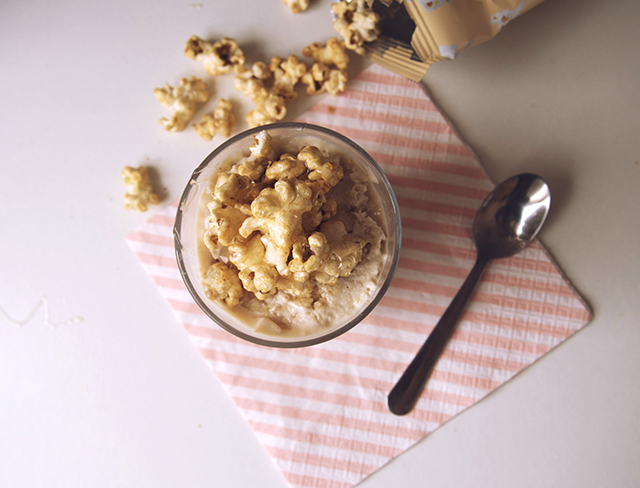 PEANUT BUTTER FROZEN YOGURT + POPCORN TOPPING. Ooooh saving the best 'til last! Here's how to make a simple, vegan fro-yo with extra crunch. • Blend 1 cup almond yogurt with 1/4 cup almond milk & 1/2 cup peanut butter, along with a teaspoon of caster sugar and a pinch of salt. • If you have an ice cream maker, stick it in that. If not, pop it in an air tight container, put it in the freezer and stir it every hour until it's set. 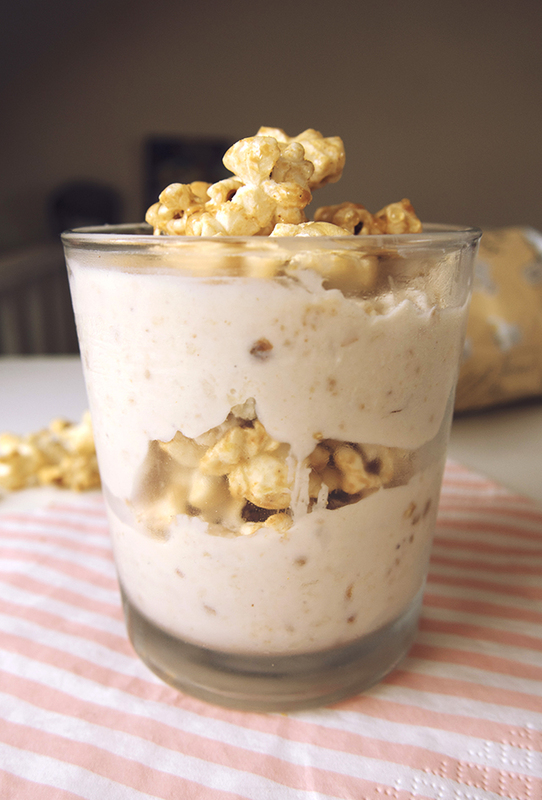 • Layer into a glass or bowl with Propercorn Smooth Peanut & Almond Popcorn, and drizzle with a little honey. What's your favourite flavour of popcorn? Have you got any popcorn recipes to share? Okay I'll be right back i'm off to make that froyo... it's GENIUS! I adore the peanut proper corn, although i do enjoy mixing it up with the sweet and salty :) strange combo i like is having it with nectarines - the sweet and saltiness go so well together! Omg, these all look so delicious! Definitely gonna try out the peanut butter frozen yogurt recipe! I love propercorn! My favourite is their coconut and vanilla, but that peanut butter one sounds SO good - I might have to go on the hunt for that. I've never actually thought of making popcorn into a proper snack, I usually just eat it straight from the bag. I love the idea of the marshmallow one! Those marshmallow bars look amazing! Great recipes! I never think to add popcorn to baking or sweet treats! Would be great in rocky road bars, I bet! how to build the perfect charcuterie platter. 3 summer smoothie recipes with alpro. a week on my feet. the art of gift giving - taab london.